Why waste time making decent pictures of the junk you want to get rid of...? Because it can be a great excuse, opportunity and exercise, to play and to experimentand possibly learn something newabout photo making, and turn a boring process into something interesting and worthwhile. An ebay bidder once wrote me about a lens he was interested in, well before the ad closed, asking if he bought the lens could he please acquire a copy of the photo Id made for the ad. He said it was the most beautiful photo he had ever seen...! So of course I said sure and he did become the highest bidder, paying much more than I expected for that particular lens. This guy was a bit unusual, but I do notice that more interesting photos, or even just clearer photos, often bring in higher bids. Further... as a way to trick myself into unloading more junk possessions, Ive discovered that if I prepare and photograph things that Im not yet certain I’m willing to sellthe process can function as a kind of emotional completion with the item, like saying goodbye to it, and by the time the ad is written, I almost cant get rid of the thing soon enough, even though I was still attached just an hour earlier. 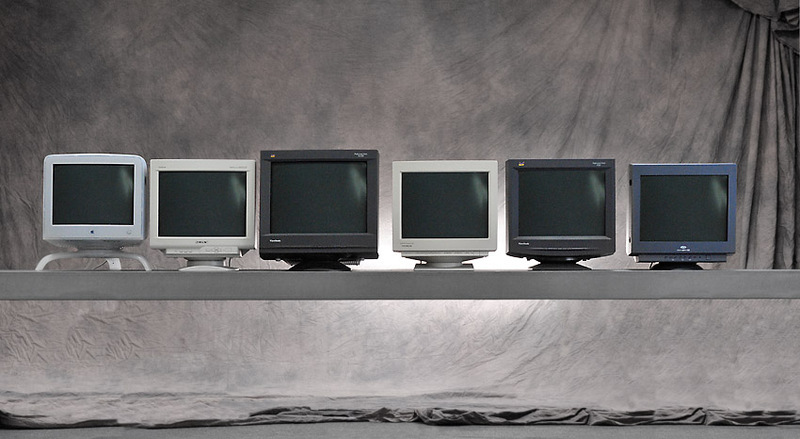 Made this photo today to sell monitors on Craigslist, but also to test a new backdrop. The backdrop is red tho I'm wishing it was gray, so for this test I had to select the backdrop areas in photoshop and desaturate the color. I love how it looks but it’d be a pain to have to remove the color for every shot. 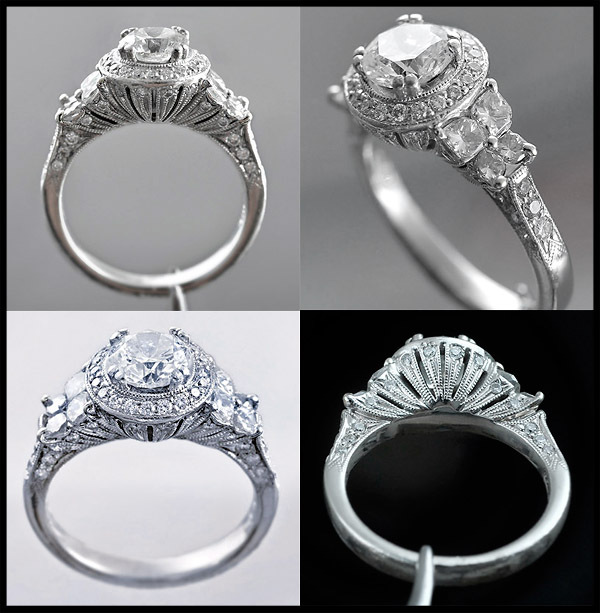 One person’s junk is another’s treasure! 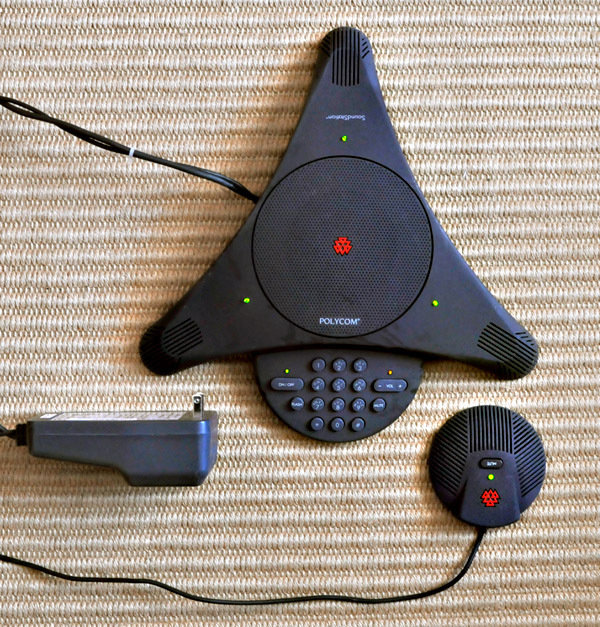 SoundStation EX (2201-03309-001 G) is Polycoms highly revered conference phone, used in most corporate meeting rooms. It adapts automatically to changing room and telephone line conditions for a natural, full-duplex (2-way) conversations without clipping or distortion. Integrated keypad eliminates the need for another phone. Three integrated microphones utilize an internal echo canceller to substantially eliminate the 'well' sound that is heard on most business phones with built in speakers. This phone uses the Polycom SoundStation/Premier Wall Module for analog phones. 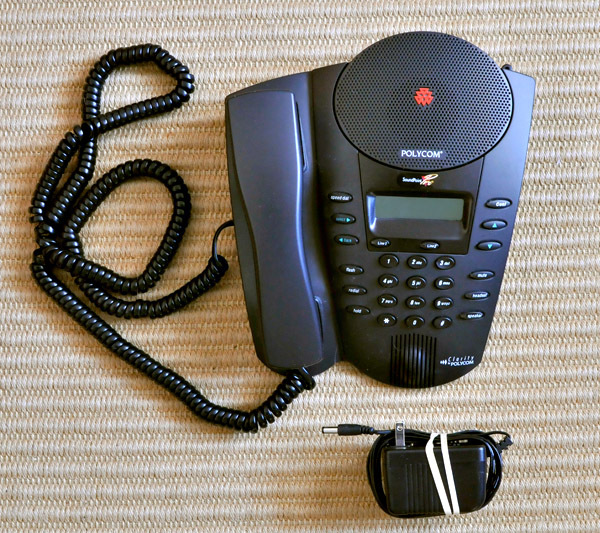 Most phone systems can support analog lines for use with standards-based phones like the Polycom SoundStation. Home phones use analog phone lines by default and are compatible. 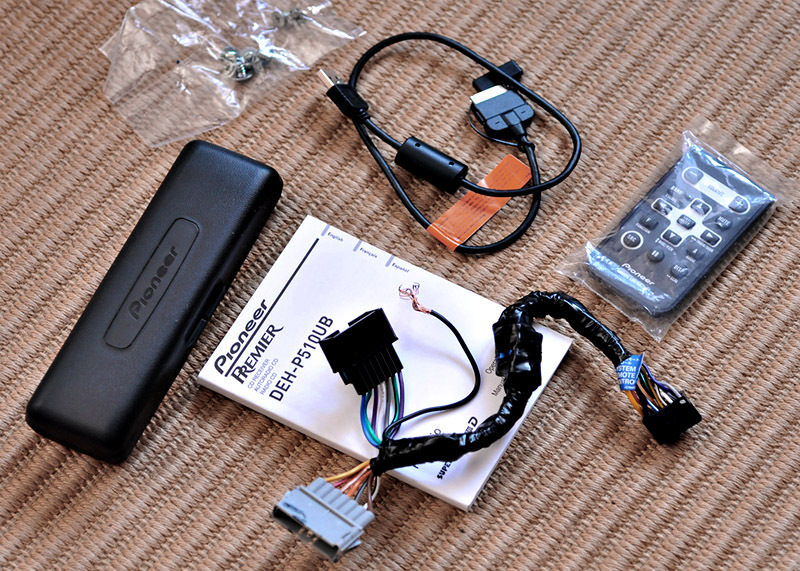 Includes additional external mic for extended range, power module, and cables. User manual available here: SoundStationUserGuide.pdf. Priced this item to move. 10-day DOA return warranty. Shipping only to lower 48, insured: $12. Polycom Soundpoint Pro SE-220 two-line Conference Phone. Excellent sound quality. Amazing speaker phone! This one was used to attend board meetings long distance for just a few months, then was no longer needed. In excellent like-new shape and excellent working condition, complete with A/C Adapter and Manual. Priced this to move. 10-day DOA return warranty. Shipping only to lower 48, insured: $12. From Polycom: SoundPoint Pro SE-220 seamlessly integrates handset and headset telephone functionality with crystal clear, hands-free voice conferencing in an elegant personal business phone. With the touch of a button, SoundPoint Pro SE-220 lets you hold clear, multipoint conference calls with up to two additional participants. Polycoms Acoustic Clarity Technology enables callers to speak when they want without clipped sentences and one-way conversations that are common with ordinary business speakerphones. Enjoyed this Pioneer DEH-P510UB CD receiver in my Jeep Grand Cherokee for less than a year, and just sold the Jeep so pulled this radio to transfer to my new car. Turned out tho, the new car wont accept this radio without major surgery, so Ive decided to let it go, even tho it's better then the new GM radio. Truly an EXCELLENT radio that I researched for months before buying, and I especially loved the iPod connection that allowed me to keep an iPod charging in my glove compartment. And the front panel USB connector! Priced to move and offer a 10-day DOA return warranty. Heres the basic info... 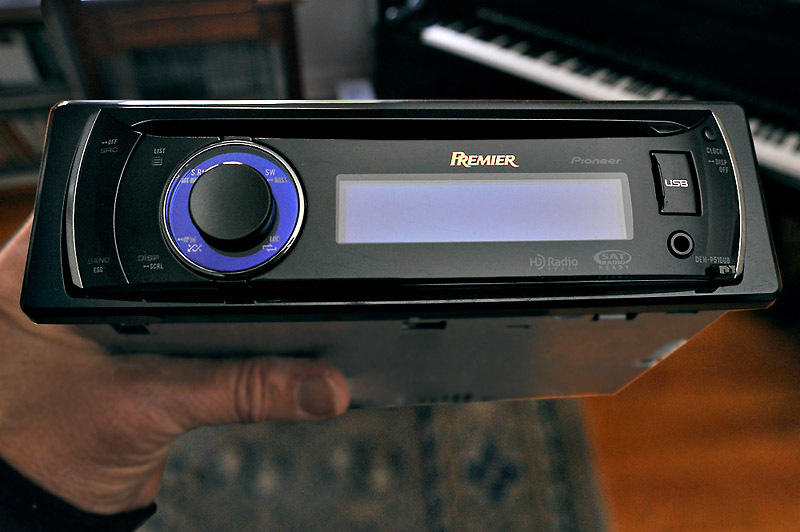 This unit is an ideal upgrade to your stock system; it features iPod and USB connections, as well as MP3/WMA/AAC/WAV playback. The larger Full-Dot OEL display* makes it easy to see what is playing, no matter what the light is like. Scroll through your iPod with greater ease with 3-Line list mode. Even enjoy features like 3D full motion screen savers. *OEL-Organic Electroluminescent displays offer great advantages over older displays. You can read the display from wide angles and also in bright sunlight, and since its easier to read, its also easier to control, and you can keep your eyes on the road longer. Its a self-emitting device, so needs no backlighting and uses very little power.